An Egyptian criminal court ordered the arrest of ousted President Hosni Mubarak's two sons on charges of stock market manipulation, state news agency MENA reported Saturday. All those accused in the case, which began in 2012, had been released on bail and barred from travel. 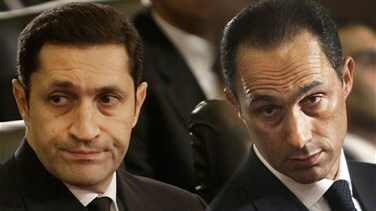 Mubarak’s eldest son, Alaa, is a businessman. Gamal, a former banker, was widely viewed as being groomed for Egypt’s top job until Mubarak was toppled in February 2011. The pair had been free since 2015. The court's next session is set for Oct. 20.